Identity theft is one of the fastest growing crimes in the world affecting millions of people a year. Due to the increasing rate of ID fraud, consumers must safeguard their personal information now more than ever before. Identity theft can involve everything from medical theft, false social networking profiles, child identification theft, email identity theft, theft from celebrity and large corporations. Here are some high profile stories of such cases. 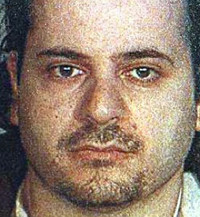 Abraham Abdallah, a worker at a New York restaurant, masterminded the largest theft of identities in Internet history and is suspected of stealing millions of dollars from celebrities, billionaires and executives such as Steven Spielberg, Star Wars director George Lucas, former presidential candidate Ross Perot, and CNN founder Ted Turner. Abdallah duped more than 200 of the “Richest People in America” listed in Forbes magazine by skillfully using the internet in a Brooklyn library to obtain personal information. Abdallah used mail boxes, voice mail accounts and the internet to gather social security numbers, addresses, birth dates and even mothers’ maiden names. Police alleged that Abdallah conned companies such as TRW, Equifax and Experian into providing detailed credit reports on his rich victims from an article . He then used the confidential information to clone their identities and gain access to their accounts at brokerages such as Goldman Sachs, Bear Stearns, Merrill Lynch and Fidelity Investments, officials told the newspaper. Abdallah was finally caught using Steven Spielberg’s credit card and Oprah Winfrey’s financial information, after trying to make a $10 million transfer on behalf of a Merrill Lynch account belonging to Thomas Siebel, founder of Siebel Systems. Wendy Brown illegally used her 15-year-old daughter’s identity to enroll in a local high school and join a cheerleading team. According to documents filed by the local district attorney, Brown wanted to relive her childhood dreams of being a part of a cheerleading squad. Brown’s daughter lives Nevada with Brown’s mother who says this is not the first time she had been in trouble for identity theft related crimes. According to officials at the school, Brown went as far as actually attending parties with kids. She allegedly attended cheerleading practices before school started, received a cheerleader’s locker and went to a pool party at the cheerleading coach’s house. In the criminal complaint, school officials and teachers said the student appeared older but had a teenage-like demeanor.. Brown enrolled using her daughter’s official transcript, Social Security card, birth certificate and other personal identification. School and law enforcement officials later discovered Brown was arrested by Green Bay Police and booked into the Brown County Jail on an unrelated misdemeanor charge. Brown admitted to the false identity and said her daughter was unaware of the scheme. 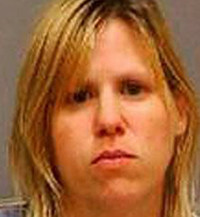 Rebecca Nakutis, like many criminals using social networking sites to perpetuate identity theft crimes, stole the identity of a single mother and recent college graduate, Chrystal Trammell. Nakutis created a fake Facebook account using Trammell’s information. Charges filled in Johnston County, North Carolina allege that Nakutis used the fabricated Facebook profile to send fake threatening messages to herself, mother and friends that inevitably led to getting a restraining order filed against Trammell. 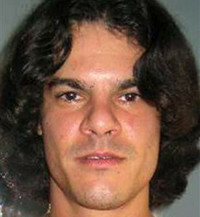 Eventually, Nakutis was arrested for identity theft and Johnston County dropped the restraining order against Trammell. 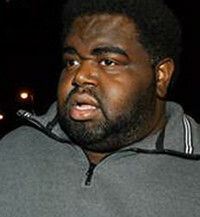 Phillip Cummings, a former help desk employee for Teledata Communications, Inc., a Long Island, New York City-based software company, orchestrated one of the largest identity theft scams of the 20th century. Cummings used his access to credit report information at the software company to re-sell credit reports and other sensitive information to a Nigerian-based, International identity theft ring. He was paid roughly $30 for each stolen report, which he then passed on to some 20 other people who either resold the information, cashed in by obtaining credit cards, or cleaned out personal bank accounts. Cummings continued using his inside knowledge to download and sell credit reports even after he left the company after several months of working there. Amar Singh, 33, and wife Neha Punjani-Singh, 30, plead guilty to identity theft and enterprise corruption charges in a case involving their roles in a $13 million scam. It has been called the largest and most sophisticated identity theft case ever seen in the U.S. 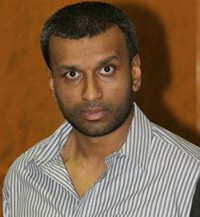 The two were part of a group of 111 people who were arrested for taking part in an operation that netted millions between July and September 2011. According to court documents, they would receive information about unknown people from various foreign countries, such as Russia and China, as well as via statewide suppliers who would use a skimming device to swipe consumer credit card information at retail or food establishments and illegal identification gathering websites. Singh and his cohorts would then employ “shoppers” who were sent out on shopping sprees around the U.S. with counterfeit credit and I.D. cards manufactured using the stolen information. Shoppers allegedly used the fraudulent cards to stay at five-star hotels, rent high-end cars, and even a private jet. Albert Gonzalaz led an international ring that stole 40 million credit and debit card records from U.S. retailers including TJX, the owner of the T.J. Maxx and Marshalls clothing-store chains, as well as OfficeMax, BJ’s and Sports Authority Inc. Prosecuters called it the largest identity-theft case in U.S. history. Gonzalez, a high-school graduate, pleaded guilty to charges stemming from his computer hacking. In his plea, Gonzalez acknowledged he took advantage of vulnerabilities in computer security systems to access card numbers for these companies. After Gonzalez was first arrested in 2003, he agreed to become an informant for U.S. Secret Service agents, who paid him $75,000 a year for information on the activities of fellow hackers. Prosecutors contend that Gonzalez was drawn back into computer-hacking activities while serving as an informant. 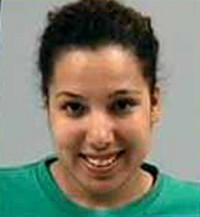 Gonzalez was sentenced to 20 years in federal prison. Protect yourself, find out what lawyers are saying about identity theft and what you can do to avoid it.